A fungal infection of the nail (onychomycosis, tinea unguium) is a disease of the keratin layer under the nail which is difficult to treat, with an incidence of about 8-11% in the Finnish adult population. It is rare in children. Most typically it involves the toenails, more rarely the fingernails. Untreated fungal nail infection causes the nail to be thickened, weakened, prone to fragmentation and to become yellow. These problems are not merely cosmetic but may cause proneness to infection leading to erysipelas and cellulitis caused by bacteria. Over 90% of skin and fungal nail infections in man are due to dermatophytes, i.e. filamentous fungi. The differential diagnostic alternatives for a fungal nail infection are psoriasis involving the nails, aging changes and nail changes due to poor arterial circulation in the lower limbs. The incidence of fungal nail infections is about 8-11% in the Finnish adult population. The risk of getting a fungal nail infection increases with age. The typical fungal nail infection patient is a middle-aged or aged man. In children fungal nail infection is very rare. In western countries the vast majority (over 90%) of fungal nail infections are caused by Trichophyton, Microsporum and Epidermophyton dermatophyte geni, i.e. filamentous fungi. The most common species are Trichophyton rubrum, Trichophyton mentagrophytes and Trichophyton tonsurans. Fungal infections of the nail are usually acquired in damp public buildings, like those housing swimming pools. Bad foot hygiene predisposes to these infections. Other fungi able to cause disease are molds and yeasts of which Candida albicans, a yest, is the most common. 1. A fungal infection beginning at the tip or side of the nail which spreads gradually towards the base of the nail. 2. A superficial fungal infection of the nail which partly or completely covers the nail plate. A superficial fungal nail infection is most frequently caused by the dermatophyte Trichophyton mentagrophytes. A superficial fungal nail infection is rarer than those infections beginning at the tip or side of the nail. 3. Those fungal nail infections beginning at the base of the nail are the rarest. These are usually associated with poor arterial blood circulation to the lower limb, diabetes or weakening of the body’s immune defences, e.g. due to immune suppression by medicines or a disease. A fungal infection beginning at the base of the nail thickens, weakens and eventually destroys the nail completely. 4. An internal fungal infection of the nail plate is a relatively rare type of fungal nail infection. It does not necessarily in the beginning cause thickening, weakening, fragmentation of the nail or the typical blanched hornification under the nail plate. When a fungal infection within the nail plate continues long it often leads to dystrophy, i.e. withering of the nail. 5. Fungal nail infections caused by Candida albicans yeast are mostly the result of chronic paronychia or skin infection between the toes. Continuous humidity or use of rubber gloves or boots increases the risk of yeast infection. Although the diagnosis of a fungal nail infection is often clear based on clinical findings there is reason to confirm the diagnosis using culture and microscopic methods before the commencement of a prolonged treatment. The test specimen is taken from the border zone between healthy nail and sick nail. The obtaining of a technically successful specimen is sometimes difficult and wrong diagnoses are relatively common. There should be a sufficiently long interval after the latest medical treatment of the fungal nail infection before taking of a specimen: following local treatment the waiting interval should be at least six weeks and after oral treatment at least six months. A fungal nail infection does not get better without treatment and it is estimated that only about 50% of treated fungal infections of toenails are cured completely even after the most potent oral treatment with antifungals. Fungal infections of the fingernails, however, are almost always cured. The length of treatment varies from three months to two years. The best response is obtained if the treatment is begun immediately after the infection is noticed and diagnosed. The renewal of the nail of the great toe may take even two years in the aged patient. The length of treatment does not, however, correlate directly with the speed of nail growth. It is essential to achieve a sufficient concentration of medicine into the nail plate and below it when the antifungal effect lasts for months. 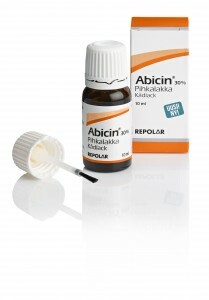 The final result of treatment is seen only after months of cessation of treatment. Urea solution treatment of thickened and dystrophic nails improves the treatment result. The alternative treatments of fungal nail infections are local treatment or an antifungal medicine by mouth or then both together. According to common concepts local treatment is effective for fungal infections of the nail tip when little time has passed since the onset of infection. For the treatment of fully dystrophic fungal nail infections local treatment is not appropriate. Problems in scalp skin are common. 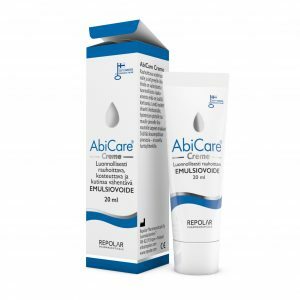 Symptoms may occur even without more severe conditions like atopic dermatitis or psoriasis. Itchy rash, redness or dandruff with flaky scales can also be caused by seborrheic dermatitis, or more seldom by dryness of the skin. Often behind the problem is also combination of things like the yeasts normally living in the skin, stress, genes, high carbohydrate diet, certain medical condition or medicines and is often more severe in dry cold weather. 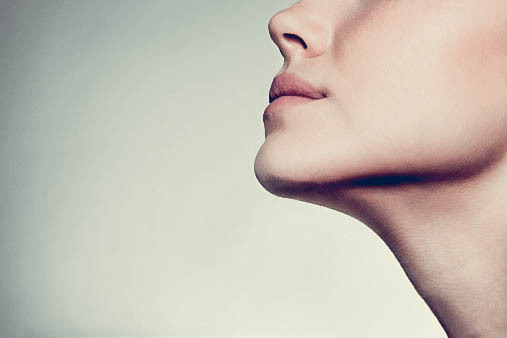 Skin renews continuously and in normal situation the dead, losing cells are small and invisible. Dandruff is often caused by unbalance of the normal microbial growth in the scalp skin. This unbalance is not infection, but rather an inflammation caused by the irritation, which is behind the itchiness, redness and dandruff. The excessive growth of the Malassezia yeasts, which are common yeasts living in the skin are one of the main causes for the dandruff. The cure of the dandruff could be found by correct choice of daily shampoo or special shampoos, avoiding excessive use of care products, change in diet or medical products. More specific help can be achieved from a product that helps controlling the microbial growth and reduces the inflammation. These products can help to obtain the balance in the skin physiology and retain the healthy scalp. 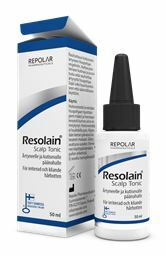 Scalp irritation may also be caused by atopic dermatitis, certain type of psoriasis or infection in hair follicles. These may require more thorough analysis of the cause and specific treatment programs.